BonChon UST is now open! Hurray! 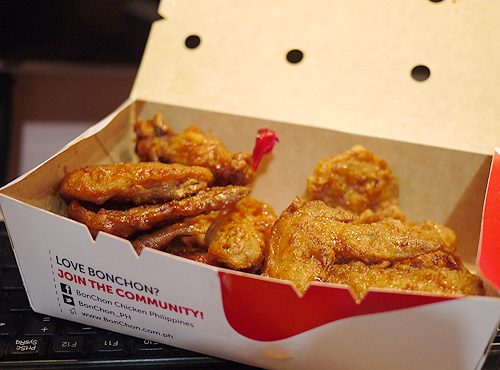 The boyfriend told me that BonChon in the University of Santo Thomas is now open. I didn’t believe him at first because I haven’t read about it online, nobody blogged about it yet, and BonChon UST is not even in BonChon.com (the official website of BonChon Chicken). But he insisted that it’s already open because he saw it with his own eyes!